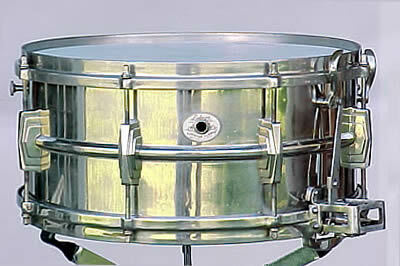 This drum appears to be the "Silver Anniversary Edition of 1936. It is nickel over brass. 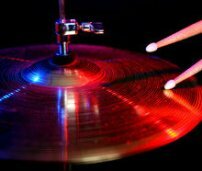 There is another one that is located at the Vintage Drum Center. Whatever you do, please don't "restore" it in any fashion--even polishing--before you get an appraisal. Any alterations will diminish the value. 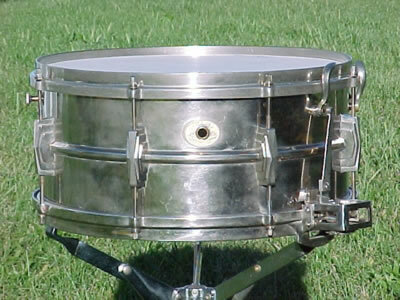 You can get a professional appraisal from the Vintage Drum Center for about $20. I imagine that if it is in their museum, the value is considerable. We would LOVE to know what you find out!